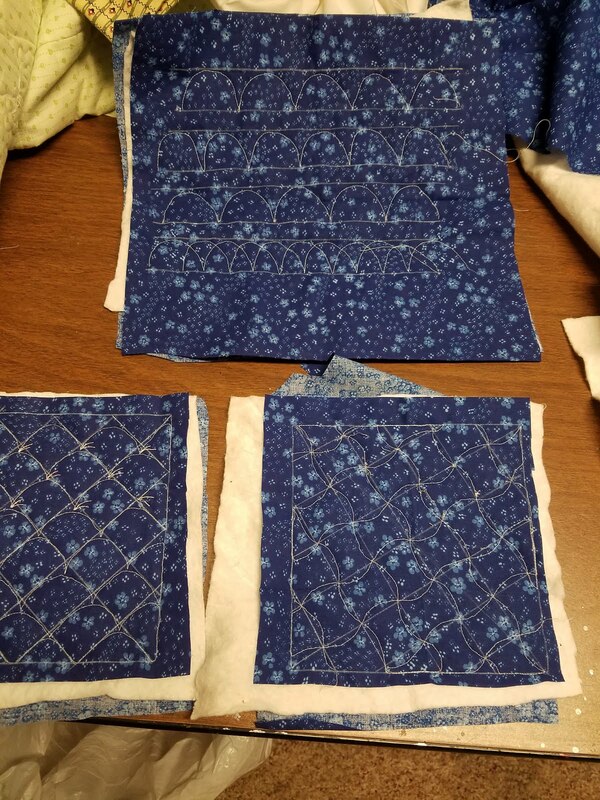 I've always loved quilting since I first started. 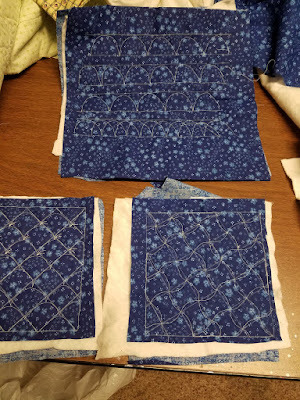 I love the design process, cutting, sewing and quilting. I hope I inspire you to love quilting as well. I put up my "My Tweets" quilt for a few days and started working on Jeanne Harrison's "Back to Basics" FMQ lessons on YouTube. Check her out. She does lessons with sit down machines and domestic machines. She has you start out learning five different basic stitches, arches, "S" curves, straight lines, and feathers. My first practice stitches have been horrible. Even though I've been quilting for a while, I've never done these specific stitches. The lessons are great, videos are awesome, and I am getting better. Here's the last part of the lesson. The right and top sides are hard to smooth out equally. 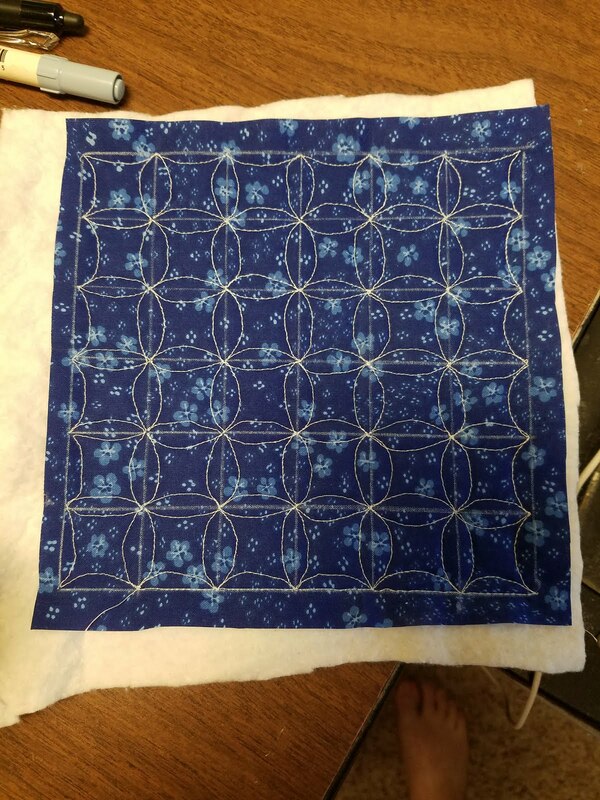 I finally got every stitch to meet in the center, but these are really bad "circles". This one needs a lot more practice. I see you found my blog. Sit down, relax and enjoy your stay. I'm the proud owner of a Viking Ruby and a Viking Topaz 30. In my stable is a 2012 Ridley X-BOW. Saving up for a mountain bike.